Schumpeter proclaims in this classical analysis of capitalist society first published in 1911 that economics is a natural self-regulating mechanism when undisturbed by "social and other meddlers." In his preface he argues that despite weaknesses, theories are based on logic and provide structure for understanding fact. Of those who argue against him, Schumpeter asks a fundamental question: "Is it really artificial to keep separate the phenomena incidental to running a firm and the phenomena incidental to creating a new one?" 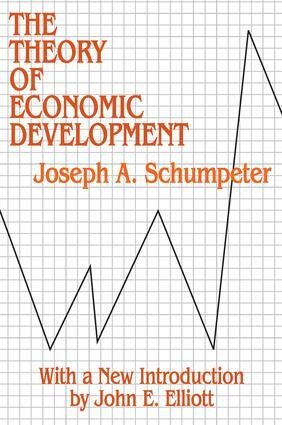 In his answers, Schumpeter offers guidance to Third World politicians no less than First World businesspeople.